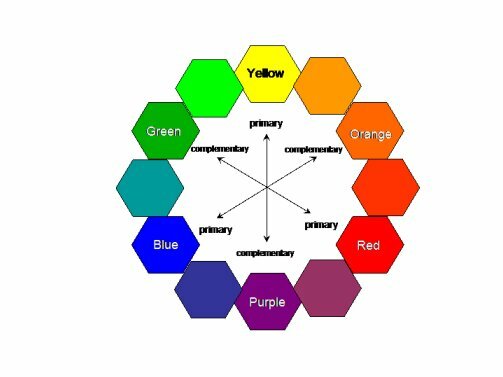 Ok keep an eye on the colour wheel it is very helpful.It helps us to understand 3 main areas about colour. So you have the three primary colours yellow, red and blue. (Leaving black and white to one side for a moment.) Your three primary colours can not be made. All colours are made from them. Secondary colours are made from the primary ones. The secondary colours are orange, green and purple. Look back at the colour wheel and you will see three of the arrows are labelled complementary. Complementary colours are contrasting. Put next to each other and they 'shout' at each other. They look vivid and make a dazzling contrast. In the picture above 'Along the Ridgeway' the blocks of orange complementary to the blues; help to add interest and create a vivid contrast. or purple, mauve and blue. Above is part of a mixed media painting. The colours chosen are harmonious ... purples, blues,turquoise and magenta. 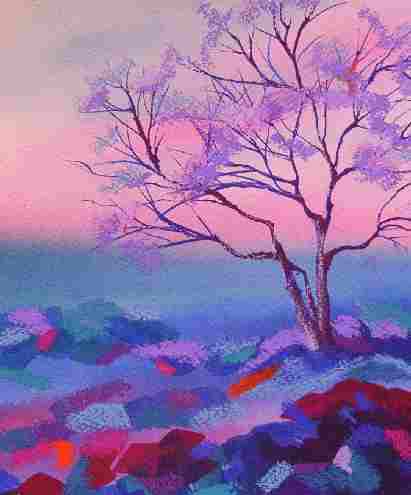 Harmonious colours provide a feeling of calmness, they add places of rest to a painting. To sum up an exciting, eye catching painting is achieved when there is a balance of harmonious colours and the clever use of complementary ones. Too much of one or the other and the painting can jar or become dull. Below is part of a much larger painting. 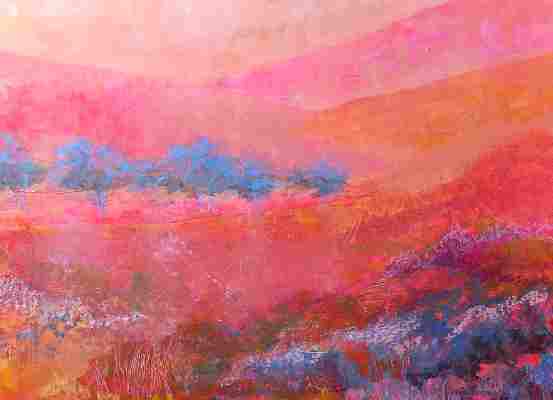 See how the background is made up of harmonious shades of pinks, peach and golds. 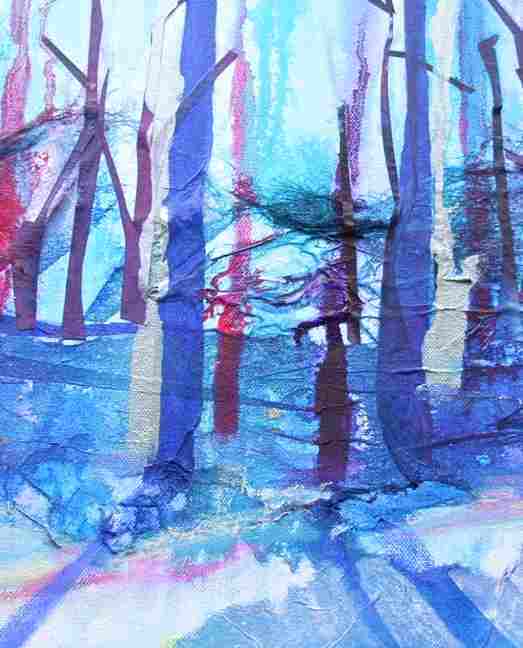 The trees and foreground interest are worked in turquoise and blues. The complementary colours of blue and orange make this painting come alive. Ok with the colour wheel -- is it time to consider composition? Interested to find out more about color theory ? 'Color Analysis' will help.